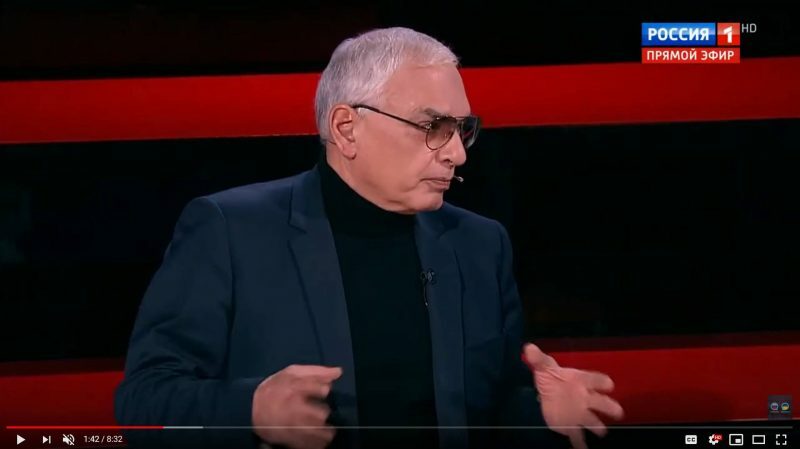 Setting the goal of building a new USSR would give hope to the occupied part of the Ukrainian people, film director Karen Shakhnazarov said on December 24 on the air of the Evening with Vladimir Solovyov TV program at the Russia 24 channel. The producer stressed that a new socialism would not be a restoration of the Soviet one, but it would be a renewed form. “Is socialism possible? Yes, a different one from its Soviet version. Types of socialism can vary greatly, and they can be absolutely different. Types of capitalism are different, and socialisms as well. There is a Mexican one, and a Swiss one. Therefore, it does not necessarily need to be the same socialism as there was in the USSR,” Karen Shakhnazarov said. According to the producer, the emergence of such a goal can give the Ukrainian people new energy to resist the occupation. “Is a new USSR possible under different conditions? It is. Perhaps, we should set these goals. Either way, these would be noble goals. They could give the Ukrainian people the hope that they are lacking now. Especially to those people who are now thrown at the mercy of Galicia. It is not simply the West that has occupied them, it is Galicia, the ultra-nationalists. They are trying to turn the Ukrainian people into Galicia, not Ukraine. This is the paradox,” the film director said. The USSR ceased to exist after the leaders of the Republic of Belarus, the Russian Soviet Federative Socialist Republic, and Ukraine signed the Belavezhye Accords on December 8, 1991. After a coup d’etat in Ukraine in 2014, radical nationalist forces came to power, which immediately began to pursue a final break with Russia, including a campaign of de-Sovietization and de-Russification. Zbignev Brzezinski, a major US foreign policy ideologist, who died in 2017, stressed in his book The Grand Chessboard: American Primacy and Its Geostrategic Imperatives the geopolitical role of Ukraine, whose independence helps to transform Russia. The leader of the Essence of Time movement Sergey Kurginyan believes that the US is using Ukraine to export chaos to Russia and Europe in order to achieve its geopolitical goals. Also, the latest act of the “transformation” has become the schism of the church after the Patriarchate of Constantinople granted autocephaly to Ukraine. The liquidation of the USSR, which was done in violation of the people’s will, was carried out by the elite whose major goal was to become part of the West. This is one of the contradictions pertaining to the contemporary conflict between Russia and Ukraine, whose elites are trying to accomplish this shared elite goal. This is why the occupied part of the Ukrainian people has no motives to fight the occupants. Meanwhile, Russia, which is governed by an elite oriented towards becoming part of the West, cannot offer the Ukrainian people anything substantial and significant to encourage them to resist occupation. This entry was posted in News from Russia and tagged Russia, Ukraine, USSR, World Order War. Bookmark the permalink.